Losing this weight for the second time has been such a struggle for me. Between the lack of motivation to the added stress at home I just have not been feeling like doing much. On top of that I am pretty much an emotional eater and find myself eating something just because it is there even if I am not hungry. That is why when I seen an advertisement to review ace I pretty much jumped at the chance. 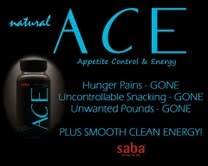 Ace stands for appetite control and energy. You get the natural energy you need without the extra jitters while being able to control your appetite. I was sent a 7 day supply of ace and when it arrived started taking it almost immediately. I started off with one pill but did not see the energy I so desperately needed so I began to take two by day 3. Unfortunately I had to stop taking them because I started to not feel well. I had a headache for 3 days straight so I really did not get the full effect of using ace. Let me clarify, I get headaches a lot so it was not anything caused by taking ace. I have a positive opinion about the product and am not saying that it did not work because it caused me to have headaches. Instead I will list the pro’s and cons of my experience below. I had a decreased appetite during taking ace which means I ate less when I was feeling well and I craved less things that were bad for me, making it easier to eat healthier. i noticed that I did not eat when I wasn’t hungry or bored. I really did not even think about it. I will say that I truly feel that ace would have worked well and I would have had better results if I had taken it consistently during my 7 day trial. Although I did not like the nauseating feeling I had I did see a small increase in energy and I ate much much less on those days I took it. It also encouraged me to drink so much more water than I have drank in a long time which is a huge plus. So in my final thoughts I would give ace a 4 out of 5 based on my experience. If you have any questions about Ace or would like more information on pricing, testimonials, or to order please visit here or visit on facebook for any kind of support. I would love to hear your thoughts especially if you have taken ace in the past or are taking it now. What has or has not worked for you? What did you like or dislike about it? I totally agree with you on that one. I have been staying away from fast food places and have focused more on making my own meals. Not only is it better for you but I can control the calories that go in my mouth. I wish that my health would have been a little better otherwise I think Ace would have helped great. Thanks for the comment. I will be sure to check out that site. I’m sorry to see you didn’t lose any weight & see the results everyone wants. Everyone is different Lisa and I don’t have a right or wrong answer for you. You can check out their website for any questions you may have. i would really love to try it,but i do get horrible migraines for while..would it be safe for me to take? hmm i would love to try it , i love getting energy but if this one doesn’t have alot lol ill have to keep drinking my energy drinks , but love to try it. nice review love it when bloggers review things and tell the truth whether its bad or good! Staying hydrated is always important, but especially when taking something like this – I hope you are feeling better! Ace is awesome! so happy to have something that is safe, and reliable to help lose weight-great tool for those stuck . I have been waiting for someone to review Ace to see if it really worked or not. I’d hate to spend all that money if it didn’t have really good results. I am also looking for something that will increase my energy during the day. Bummer it didn’t work as well as you had hoped! I want to feel less sluggish, and not eat when bored! I so badly wanna give this a shot! 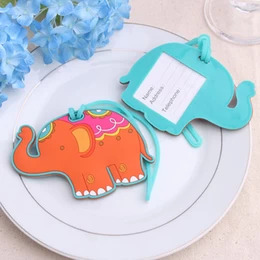 I am very interested in this product. Would love to try it!!! Really want to try it but cant get myself to pay for it! sounds like you did pretty well with it! heather loftus recently posted..Free apron! I am not sure if I would try this product. Headaches & tummy….no thanks! Are those listed as side affects? I have really been wanting to try ACE my biggest issue is eatting when I am not hungry. I haven’t heard about ACE at all before. I dont really have an eating problem, just cant seem to shed the unwanted weight in my mid section since having kids, wonder if this would help at all. Im exactly like you are! I eat when emotional and bored. Im on the go all day long being a single mother, come the time she is resting I just want to rest to. Id love to feel the energy change, to give me the energy to exercise more than I do. I have never taken it, but have seen it advertised a lot. Thank you so much for doing this review. I definitly want to try it.